PLoS One 2014 9(8), e102684. Droxinostat purchased from Selleck. Breast cancer cells line T47D were treated with the indicated concentrations of Droxinostat. Dr. Zhang of Tianjin Medical University. Droxinostat purchased from Selleck. 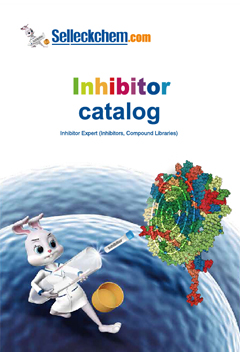 Selective inhibitor of HDAC3, HDAC6,and HDAC8. Method: PPC-1 cells (1 × 104) are seeded overnight into 96-well flat-bottomed plates in 100 μL of medium containing 2.5% FCS. The next day, Droxinostat is added. CH-11 antibody (100 ng/mL) is then added and the cells are incubated for 24 hours before assessing cell viability by 3-(4,5-dimethylthiazol-2-yl)-2,5-diphenyltetrazolium bromide (MTT) dye reduction assay. Schimmer AD, et al. Cancer Res, 2006, 66(4), 2367-2375. Mawji IA, et al. 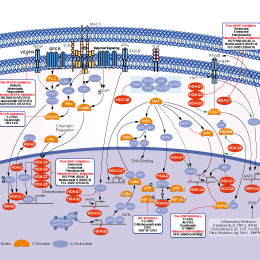 J Natl Cancer Inst, 2007, 99(10), 811-822. Wood TE, et al. Mol Cancer Ther, 2010, 9(1), 246-256. Bijangi-Vishehsaraei K, et al. Mol Cell Biochem, 2010, 342(1-2), 133-142.